And of course, a picnic. 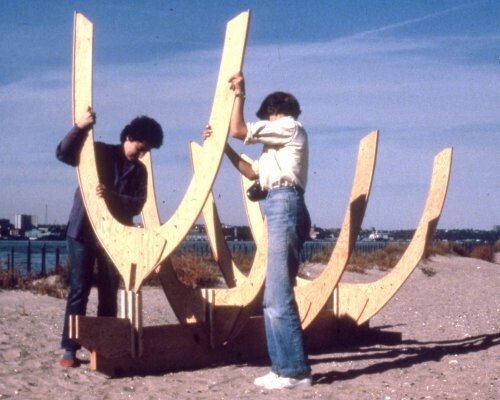 Collaboration was an important aspect of the Feminist Art Movement of the ’70’s and ’80’s where collaboration, growing out of consciousness raising, was a way to break down isolation in American culture. We began to work collectively in new ways to engage communities and address social issues. 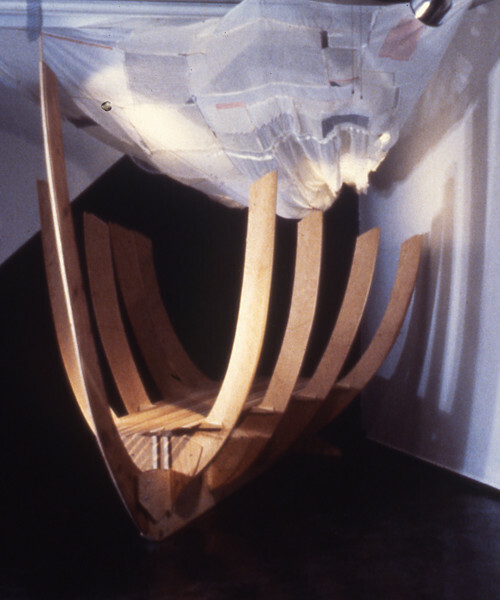 The Feminist Art Movement challenged ideas about authorship, particularly the myth of the solo male artist. 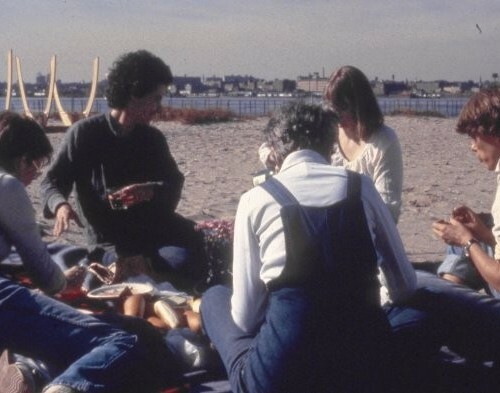 The movement pioneered new approaches to group identity through various means such as collaborative performances, women’s co-op galleries, “leaderless” institutions and inclusive artworks. 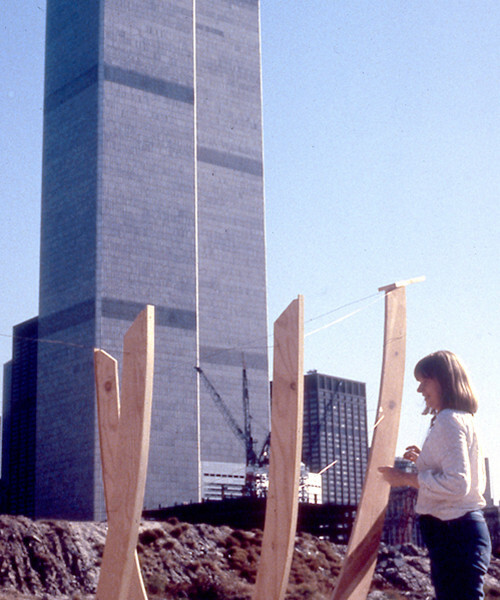 In 1983, Janet participated in a collaborative project at the New York Feminist Art Institute in New York. Twenty-seven young women artists, most of whom had never met before, came together for six weeks to participate in the project which was funded by the NEA. They broke up into four groups, each with an older artist/mentor. The participants met, got to know each other, came up with a project, fabricated it and showed each of the four works at a gallery on Lafayette Street in Manhattan. The experience was difficult and fraught with problems as collaborations often are but the project was the beginning of important and lasting friendships. Janet’s group made a boat for their voyage through life. 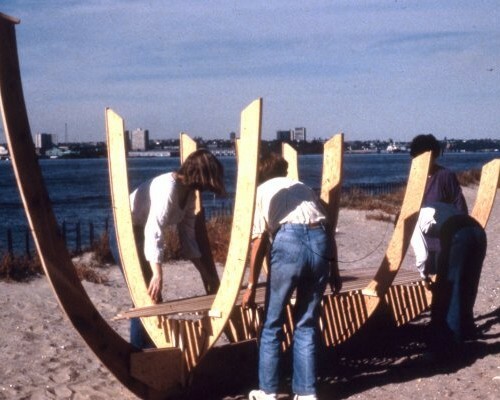 One day they took the boat sculpture to the beach in the shadow of the recently constructed World Trade Center and had a picnic.